Join us at the Muttonhead store in Roncesvalles on April 27! We will be selling merch and have meet-and-greets with some of our adoptables. Muttonhead is also creating bandanas and some of the sales proceeds will go to SOS! We will be selling merch and bringing some adoptables along! Come join Save our Scruff, Modo Yoga Pickering, F45 Pickering & Mindful Urban Farm for a rejuvenating yoga class with Thai Massage by Brianna McIntosh followed by a market place filled with local artisans, health practioners, treats and of course dogs! All of this in support of our next Spay & Neuter Clinic in Puebla, Mexico on August 16, 17 & 18. Did you know that theoretically the offspring from one female dog can have over 96 000 puppies over 7 years! In the last 3 years Save Our Scruff has helped reduce the pet population by over 1 billion animals. 1 billion! Create amazing experiences for our volunteers and communities. Proactively reduce the pet population and educate. Keep dogs safe and provide happy and safe homes whenever possible. Taking place at District 28 in Leslieville, Toronto, the evening will consist of cocktails, live entertainment, SOS interactive stations, and most importantly a chance to interact with SOS Scruffs. Cocktails start at 8:00pm. Dress to impress. Kicking off in Toronto for Transgender Day of Visibility, March 31, 2019, Don’t You Want Me is proud to present an inaugural exhibit and party. Held at Tom&Sawyer from 5 - 7pm, our launch party will feature some of the images and narratives from the project with the backdrop of this stunning, sunny venue. Attendees can learn more about it and become ambassadors, participants and supporters! Also, meet some of our participants and their pups! No personal dogs allowed BUT Tom&Sawyer will be giving away doggie goodie bags for those with canines at home. 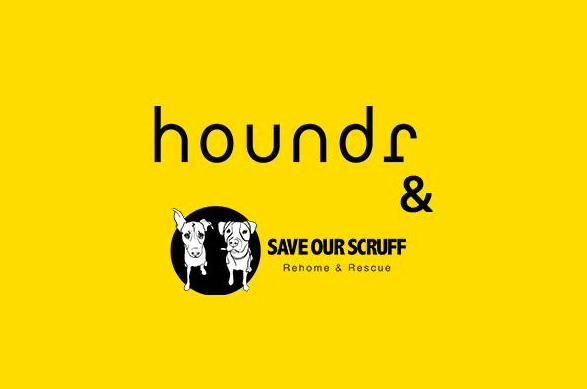 Save Our Scruff will be there with an adoptable dog or two and several 'famed' Toronto VIP pups will be there to meet and greet. Beer, wine and non-alcoholic drinks will be on offer for a suggested donation to Save Our Scruff. Learn more and reserve tickets on the Facebook event page. Martingale Collars, Bowls, Poop Bags, Harnesses & Leashes! We will also have some adoptable scruffs in attendance from 12pm-2pm so come say hi! Tom&Sawyer and Save Our Scruff are having a Pawliday Party & you're invited! There will be a professional pet photographer on site taking festive pet photos so your furry companions can participate in some wholesome holiday fun for a good cause! Get your Scruff Stocking here! When you donate your clothes, a portion of your donation will go to SOS! The Save Our Scruff Holiday Pawty is back for year two! Join us to celebrate the holiday season and another successful year of dog rescue. All proceeds from this year's event will be going to directly to bringing in dogs from Northern Canada! More details on this intake to come. Whether you've volunteered, fostered, adopted, donated, listened and taken our advice, attend an event or even just advocated for your pup, you're what makes this organization special. We hope to see you all there! **Parents night out. Please leave your Scruff at home for this event! We host lots of doggie-friendly meet-ups, so make sure to keep an eye on our events page! Merry Pupmas Y’all!!!!!! Come join us and learn all about SOS and how you can get involved and support your dog loving ways! For this chilly weather come grab our new hoodie or a cute mug to hold your Hot Chocolate or Coffee ( make it Irish we won’t tell )!!! Cozy up for the season knowing you helped make a dogs Holiday AMAZING by helping them get to their forever home!!! Halloween fun with alum & adoptables at Rainhard Brewery! 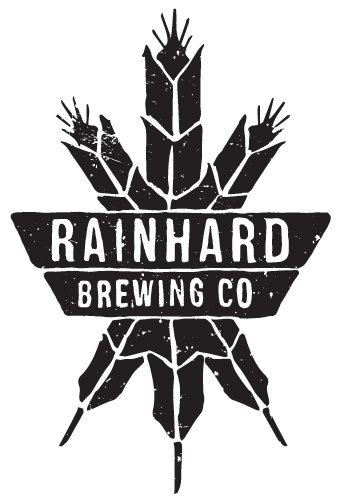 Rainhard will be donating $1 of every beer sold during the day, Sunday October 28th, to Save Our Scruff! Come out to support SOS in costume, learn about all the ways to get involved, buy merch (including our awesome new line! 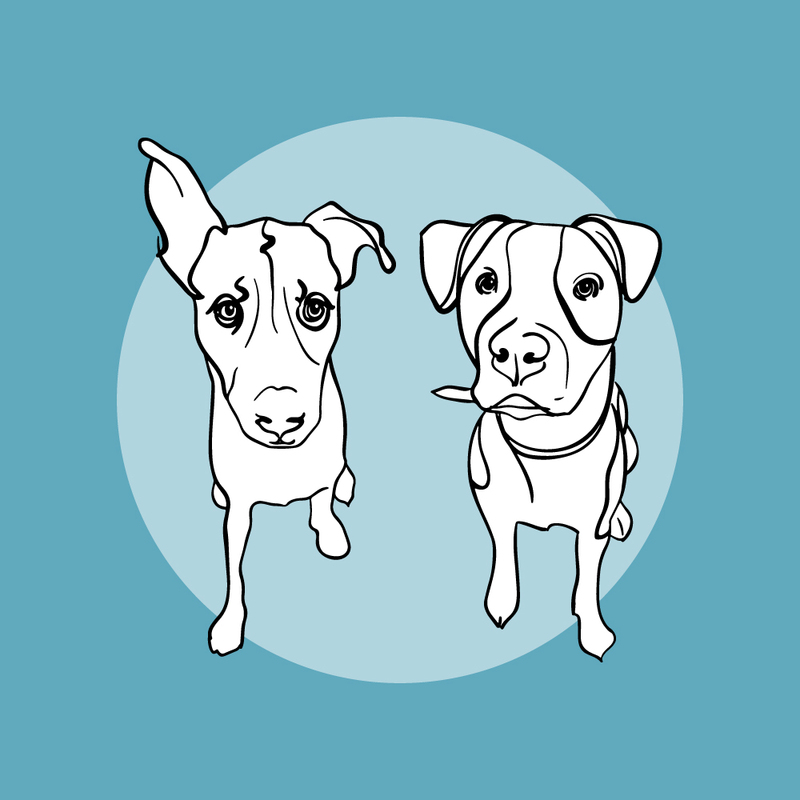 ), make donations, ask questions and meet some adorable dogs! Saturday October 27th is our 5th annual HOWL-O-WEEN UNLEASHED PUP COSTUME PARTY + PARADE with co-host Helmut the Pug from 1 - 3 p.m. here at 211 Ossington Avenue! SOS 101 - FOSTERING 101! Come join us and learn all about SOS and how you can get involved and support your dog loving ways! We will also be running a dog bath with 100% of the proceeds going to SOS soooo bring in your filthy Pups so we can make them fresh to death! Just in time for this chilly weather come grab our new hoodie or a cute mug to hold your hot chocolate or Coffee!!! We will also be having a spooktacular bake sale! All proceeds will help us save MORE dogs next month on our trip to Tennessee! Save Our Scruff is an official charity of the Scotiabank Toronto Waterfront Marathon! Whether you are running a marathon, half or 5k, you can run for your favourite cause- the pups! SOS Spooktacular Halloween Costume Pawty! Come join us and meet some of our cutie patootie adoptables! Bringing your pup bestie? Don’t forget their awesome halloween costume! Pet Valu will be hosting a super fun costume contest. BUT WAIT THERE’S MORE!!! Just in time for this chilly weather come grab our new hoodie or a cute mug to hold your hot chocolate or Coffee!!! See you all there! Come check out Save Our Scruff, Saturday October 20th, and grab some awesome dog gear for your pooch. Tons of jackets! Canada Pooch raincoats, sweaters, winter jackets, life jackets, and more! We’ll have tons of great stuff including toys, treats, collars, boots, Halloween costumes and more! PLUS! We’ll have lots of great human merch so you can show your SOS pride! Come say hi! Bring your dogs! Learn more about volunteer opportunities! Ask us all your questions about dogs! And buy all the coolest swag! See you there! Come out to support SOS, learn about all the ways to get involved, buy merch (including our awesome new line! ), make donations, ask questions and meet some adorable dogs! 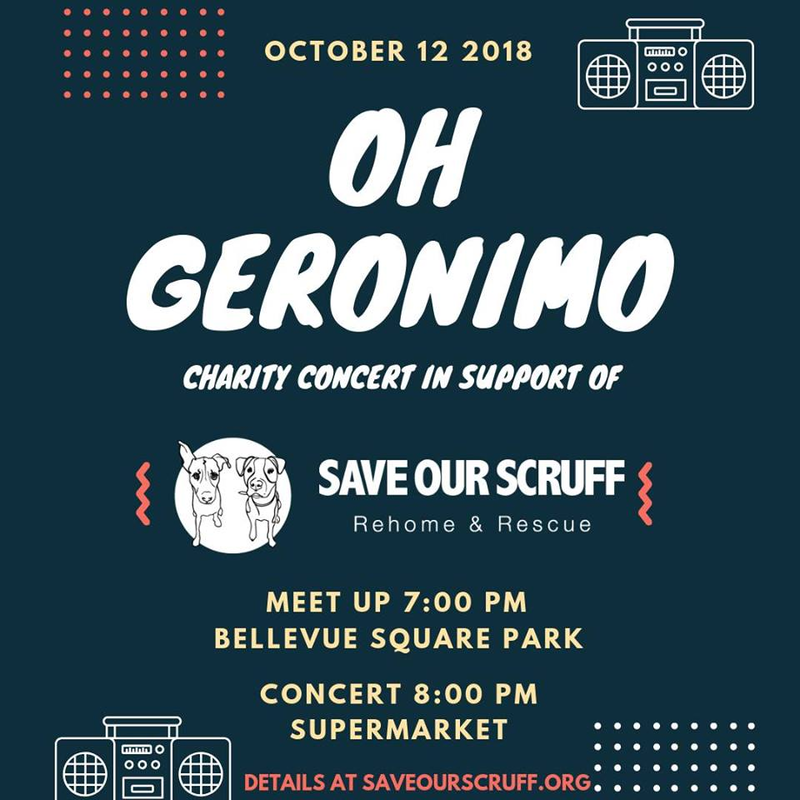 Join us for an SOS (human) meet up & charity concert in support of Save Our Scruff! $5 minimum donation at the door! Come out to support SOS, learn about all the ways to get involved, buy merch (including our new previously loved line), make donations, ask questions and meet some adoptable dogs! We will also be doing dog washes, plus a bake sale! SOS 101 - FOSTERING 101! Come join us and learn all about SOS and how you can get involved and support your dog loving ways! We will also be running a dog bath with 100% of the proceeds going to SOS soooo bring in your filthy Pups so we can make them fresh to death! Obvs there will be Merch and yes…. cute AF Doggo’s!!!! Having some Leash Reactivity issues with your SOS Alumni?! Need some support? Look no further! We have partnered up with Ola Gentle from Paws Above to host a 2hr seminar as a beginning step to learning how to work with your Leash Reactive dog, so you can both be set up for success! The class will give you knowledge to understand the behaviour and also tips/actions to providing a solution. Please come with your Scruffs! *Please come no earlier then 15mins before the class starts. You can only attend if you pre-register. Come with a notepad, questions to ask and an open-mind! Looking for someone with dog experience to help guide the way for you as you consider adopting your first dog?! Look no further! We have partnered up with Ola Gentle from Paws Above to host a 2hr seminar on What to Expect & How to Prepare. Come out to support SOS, learn about all the ways to get involved, buy merch (including our new previously loved line), make donations, ask questions and meet some adorable dogs! Save the date! September 15, 2018! SOS is hosting our first (?) garage sale fundraiser! Featuring all the cool gear your pup needs to stay styling this fall! Dozens of Canada Pooch coats! Shirts! Sweaters! Cardigans! Fall fashion galore! Halloween costumes? We got em! Toys! Treats! We’ve got everything your dog could dream of! PLUS we’ll have SOS merch on sale so your pooch won’t be the only one getting swagged out! Come check out all this and more! Lots of parking on-site! Or just a 5 minute bus ride from Lawrence West subway station! At this event people will be able to meet adoptables and learn/find out how they can help too! Save Our Scruff will also be selling merchandise and accept donations! What's better than some Sunday flea browsing? Checking out the SOS booth at the flea! Come on down to chat, browse, and buy cute things! Come learn all about how to get involved in with SOS!!! Grab some wicked merch and of course meet some insanely cute pups looking for their furever homes! 100% of the proceeds go to the pups as per usual!!!! Ice cream, ice cream, even pups scream for ice cream! Houndr is back with another tasty pop up, bring your pooch for $5 doggo friendly ice cream. What's sweeter than that? The proceeds go to SOS!